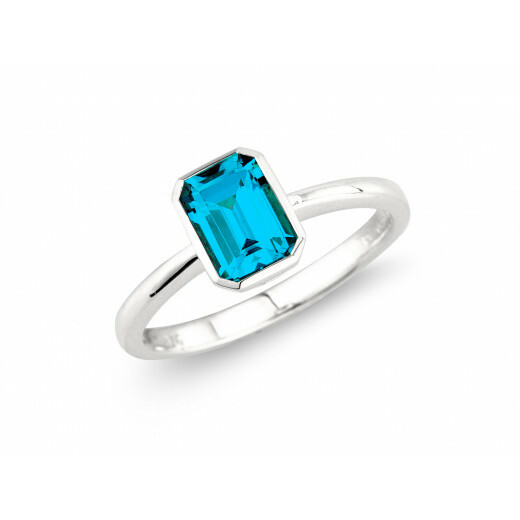 One of our bestselling Rings due to its wonderful simplicity and the clean, contemporary design. 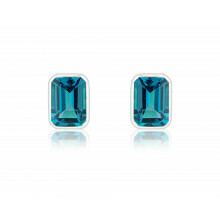 The stone is a 'London' Blue Topaz which has a deeper, richer colour than the more usual pale blue. 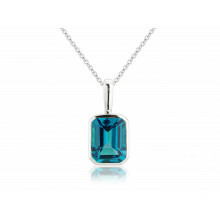 The Topaz has an Emerald cut and is set into highly polished White Gold. A real winner and a popular gift.